Tapes have been on the “backup market” for a long time and still are considered as a good option to store and secure a high amount of backup data. However, the continuous increase of backup size becomes a bottleneck in terms of fitting backup windows and reduces a simplicity and redundancy of backup solutions. Today more and more companies consider backing up their production data to more reasonable storage solutions, like Clouds. Here comes in hand the technology that emulates physical tapes on top of inexpensive, fast, and high-capacity spindle drives. StarWind Virtual Tape Library eliminates the need for physical tapes by emulating industry-standard tape hardware on HDDs. Thus, it allows you to accelerate the backup process and add an extra level of protection. Integration of StarWind VTL with the backup system, like System Center Data Protection Manager, and backup transfer to Microsoft Azure gives you even more options to back up your data and defend it from any type of disasters. This article shows the basic steps in the deployment of StarWind Virtual Tape Library as a backup repository for System Center Data Protection Manager 2016 in Microsoft Azure cloud storage. Being a part of StarWind Backup Appliance, as well as StarWind Virtual SAN software, Virtual Tape Library (VTL) allows you to use high capacity and cheap drives as virtual tapes by emulating the existing tape hardware. The advantage of using VTL instead of an actual tape is gaining granularity of a tape while benefiting from the speed of a disk-based backup and restoration. Thus, you can easily fit your backups into the backup window and not overlap your production time. In addition, VTL can be used to offload your backups to inexpensive cloud storage, e.g. Amazon and Microsoft Azure. Considering offsite data backups comes into view, especially in the case of disaster probability. By using cloud backups, you will be able to fit the “3-2-1 backup” rule. System Center Data Protection Manager 2016 (SCDPM) is a robust enterprise backup and recovery system that allows you to backup the most common business workloads in your production, including Exchange Server, SQL Server, Hyper-V and VMware VMs, Windows clients, files, and folders, etc. SCDPM also provides an option to forward offline backups to tapes. SCDPM 2016 provides wide functionality for fast recovery of your servers and data and supports site-to-site backup as well as full-fledged integration with Microsoft Windows Azure Backup for cloud-based protection.  Before starting the installation of this infrastructure, ensure that you have all of the following prerequisites, such as an Azure subscription, a connection to Azure with S2S VPN or Express route, and SCDPM 2016 installed in your environment. Deployment of the VTL Appliance on Azure starts with the creation of Azure Virtual Machine with StarWind VTL. 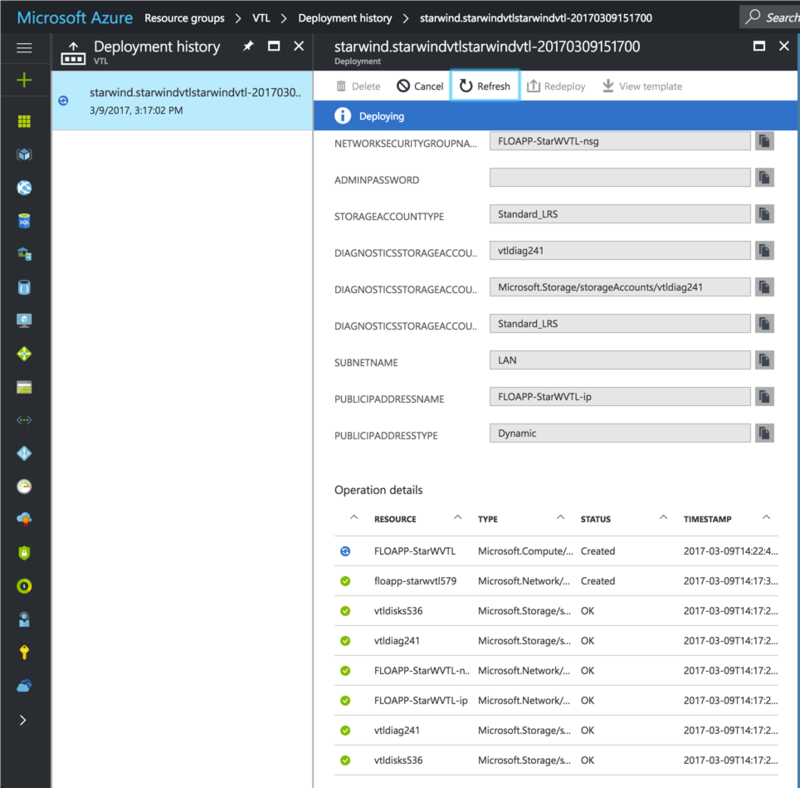 Azure Installation Wizard guides you through the common steps, such as providing your VM with the disk type, login credentials, as well as choosing the subscription and location of your VM. It also allows you to configure optional features, such as Virtual Network for your S2S VPN or Express Route connections, NSG, and a Public IP. After the validation process and the licensing part, the appliance will take few moments to be deployed correctly. In order to use the tapes, a data disk must be added directly to the VM. The last part of setting up a backup repository will be the creation of StarWind VTL device. StarWind Management Console functionality allows you to emulate a tape drive, which is supported by DPM compatibility list of tape drives, such as HP MSL 8096. This tape device supports up to 4 drives. After VTL device configuration, the actual tape must be created. The recommended types to use are LTO-5 and LTO-6 and, as a best practice, the higher amount of tapes with smaller sizes instead of larger sizes is suggested. The first step before configuring the tape in SCDPM is to create an iSCSI connection to an Azure VTL server. 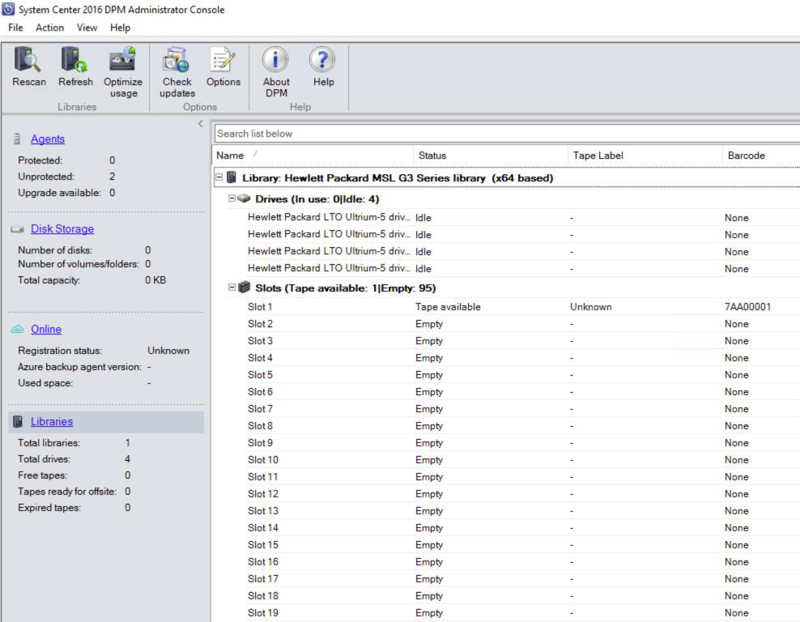 Be sure that the drivers for the HP MSL8096 are installed in the Device Manager. The next step is to create a tape in StarWind Management Console, add this tape to the DPM library, and identify the tape before using it. Once the initialization of the tapes is finished, you can finally configure a protection group for the DPM. There are several options, which give an opportunity to create the short-term and long-term backups. Choosing up to 4 drives will increase the performance of read/write operations. You can also activate the compression and decrease the size of your backups. Depending on your bandwidth, it will take some time to back up your servers/clients. Now, when the backup is finished, you can restore the data from VTL by going to Recovery tab, choosing the VM and recovery type. After selecting the host and location to restore the server, the recovery process can be started. In addition, you can setup co-location for DPM 2016, which allows you to choose between the protection groups that can be co-located on the same tape regardless of retention goals. This has a large impact on how long a tape can be used for backup jobs. Assuming all the latest tendencies and requirements in the storage world, there’s no doubt that physical tapes are staying with us for a long time. However, using virtual tapes is a more flexible solution, that allows you to combine the backup speeds and high capacity of spindles with an affordable price of tapes. The combination of StarWind Virtual Tape Library and System Center Data Protection Manager 2016 gives the opportunity to save your money on storage and significantly increase your data protection against any types of malware, ransomware, or even data stealing. In addition, StarWind VTL integration in Azure will allow you to store the data in different datacenters, thus you will never lose it. 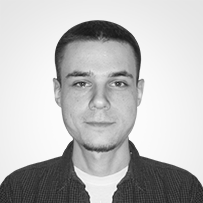 The complete configuration manual about implementing StarWind VTL with SCDPM 2016 in Azure can be found in the technical paper by Florent Appointaire Virtual Tape Library on Azure used with Microsoft System Center Data Protection Manager 2016.